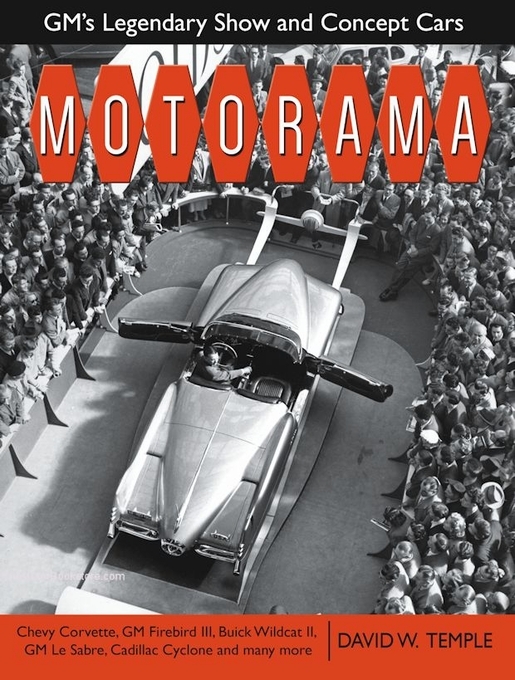 Motorama began in 1931, part of the auto industry's Alfred P. Sloan industrial luncheon. 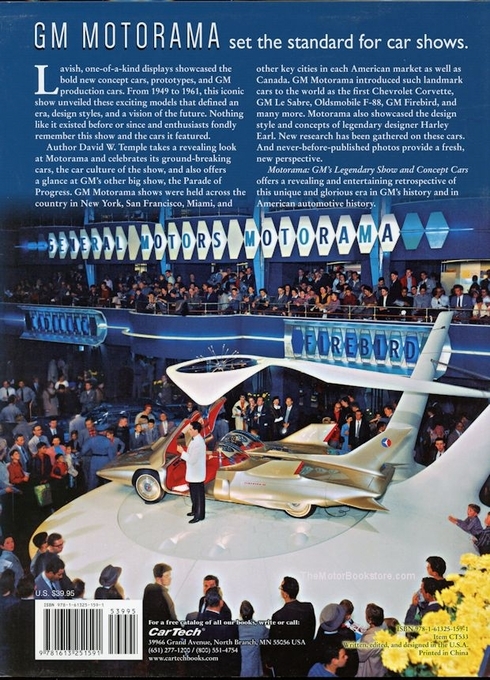 As it grew in popularity, GM used the opportunity as a showcase for GM Motorama show cars, putting upcoming models, concept vehicles and prototypes on display. The shows saw hundreds of thousands of visitors. Its last, held in Los Angeles, New York and San Francisco, boasted millions. Motorama: GM's Legendary Show and Concept Cars wants everyone to know what those glory days were like. Any auto enthusiast who's ever attended a show will enjoy this detailed unveiling of Motorama and its development into one of the most anticipated events of its time. The show was so popular, attendees not only got a great show of cars, but got a look at GM's latest air conditioners, refrigerators and even the kitchen of tomorrow. And believe it or not, the shows were free. The book takes a look at not just the period, but its fascinating moments. The 1953 GM Motorama show cars like the Cadillac Le Mans and the Oldsmobile Starfire. 1954: the rare two-door Wagen, the hardtop Corvette and the Wildcat II. And the book segues into the latest concept cars and prototypes, from the Cadillac Sixteen right up to the ATS. Motorama: GM's Legendary Show and Concept Cars follows a period when the American automobile towered with pride and being seen in a General Motors vehicle was the height of cool. The automaker used the extravagant show to feed the frenzy. Seeing dazzling models of dream cars, the public couldn't get enough, keeping GM firmly in the public eye, looking forward to the latest iteration of a Corvette, Firebird or Le Sabre. If you feel the affection, it's because the author viewed those early GM Motorama show cars with his dad. These memories led to a deep love of the auto, GM and car shows. David Temple has been writing about cars for over two decades and is the writer of Full-Size Fords. Motorama: GM's Legendary Show and Concept Cars is a love letter to everything the author cherishes. 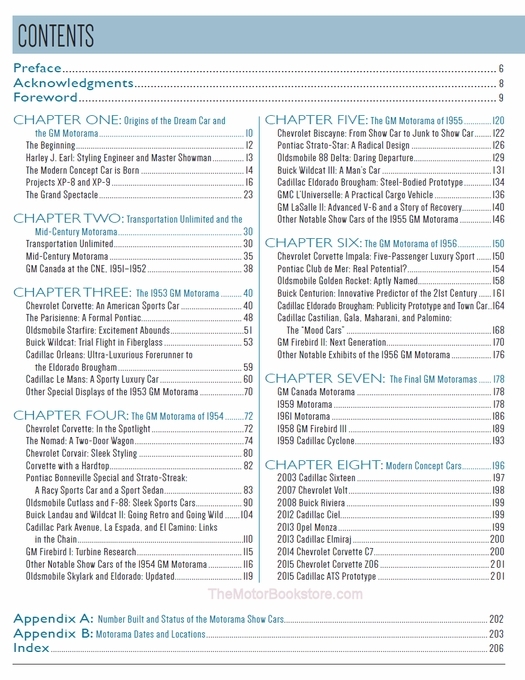 Check out the Specifications Tab above for a sample page of this book - Sweet Corvettes at the 1954 Motorama Show. 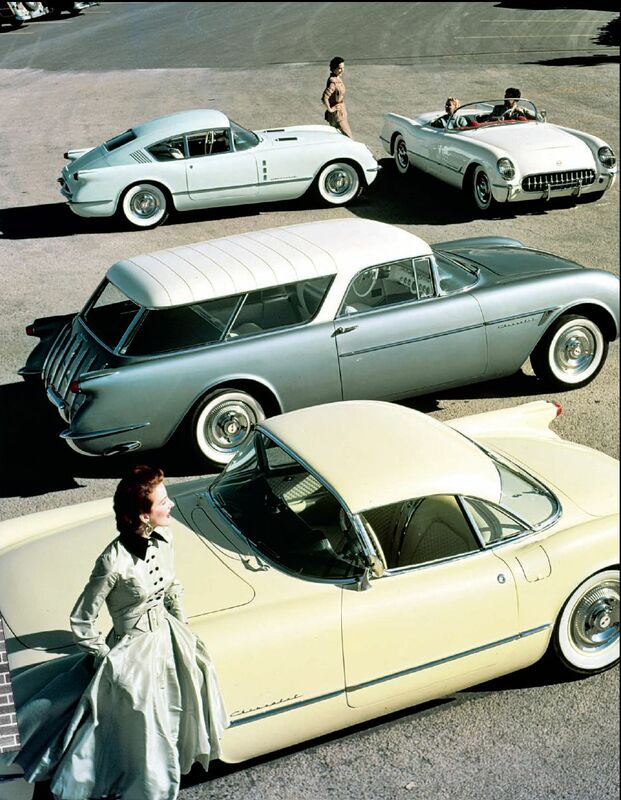 Below: Motorama: GM Show & Concept Cars - 1953 Corvette-based Show Photos. Copyright CarTech Books. Above: Motorama: GM Show & Concept Cars by David Temple - Table of Contents. Copyright CarTech Books. Ask a question about Motorama: GM Show & Concept Cars.